On and offline, we have your needs covered! 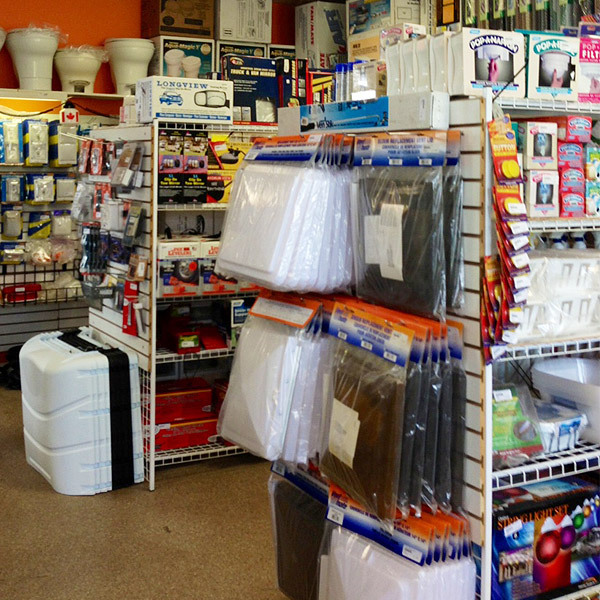 We keep a wide array of items in stock in our Trenton store, and we’d love to help you find what you need to enjoy your R.V. throughout your travels. 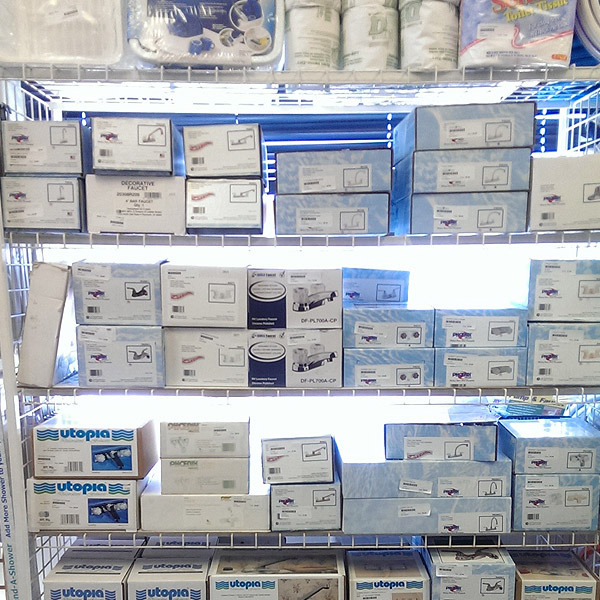 Pictured below, you’ll see a sampling of the wide variety of parts and supplies we have available in our store. 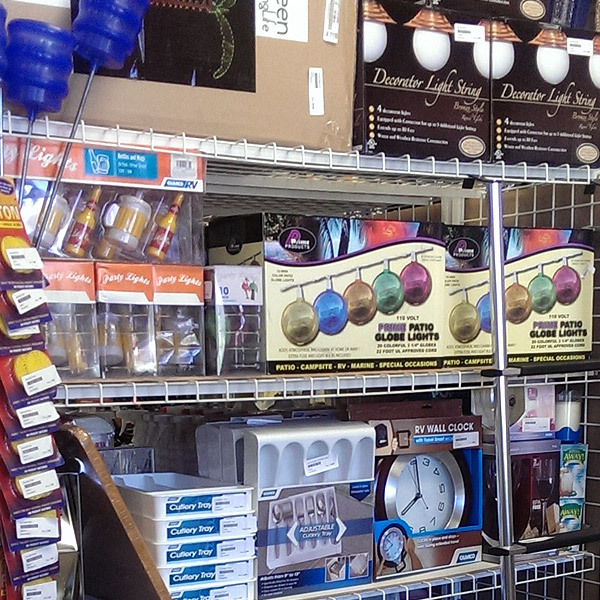 Our store is wheelchair accessible. You can shop our entire catalog here. We look forward to servicing your needs, now and into the future. Stop by and see why we are the best R.V. store in the Quinte area. 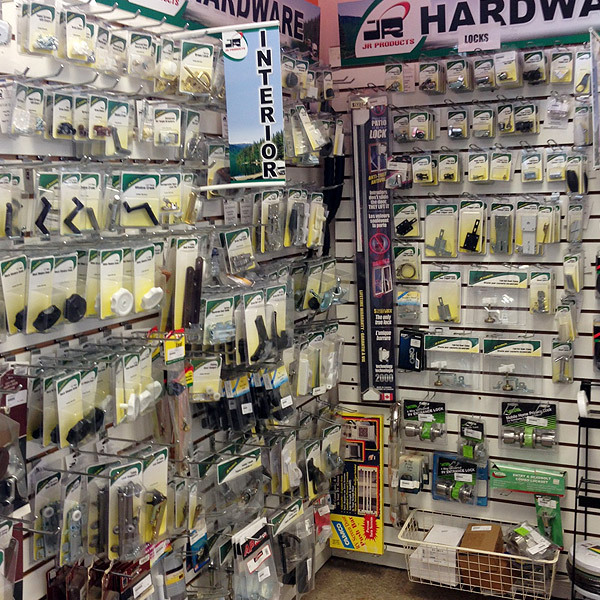 Common hardware is easy to find and at your fingertips for the diy repair person. When the plumbing’s not right, we have quick fixes to get everything flushing along! 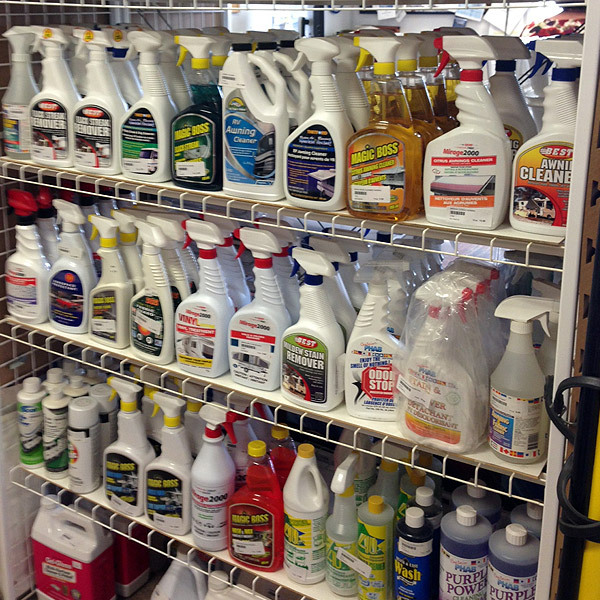 Our store is laid out with clean, easy to view displays and we’re always available to help you find what you need. 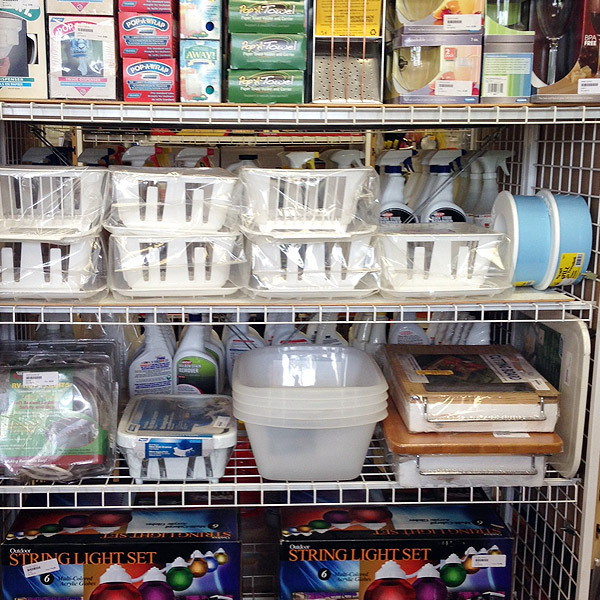 “Just-right” sized kitchen supplies that work efficiently in R.V. size kitchen spaces! 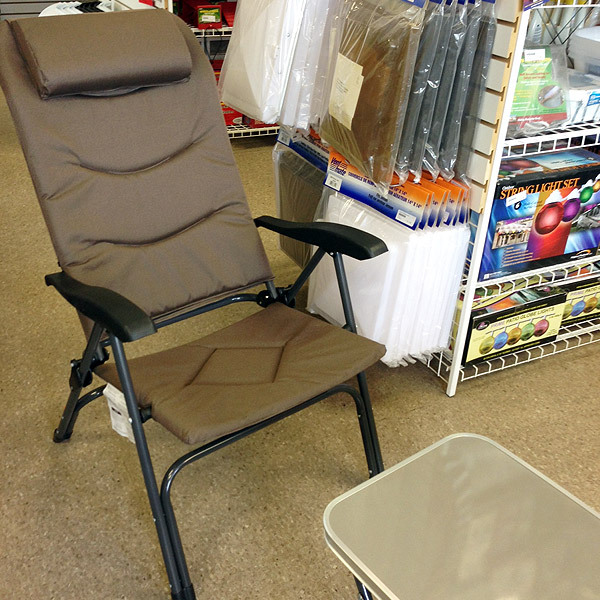 Our most popular chair is so comfy you’ll want one or two for at-home too. 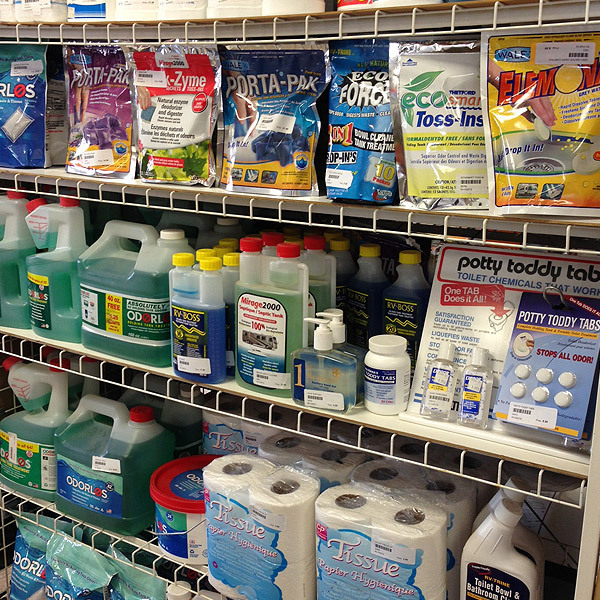 Cleaning supplies for a variety of messes and cleaning situations – right here in stock! 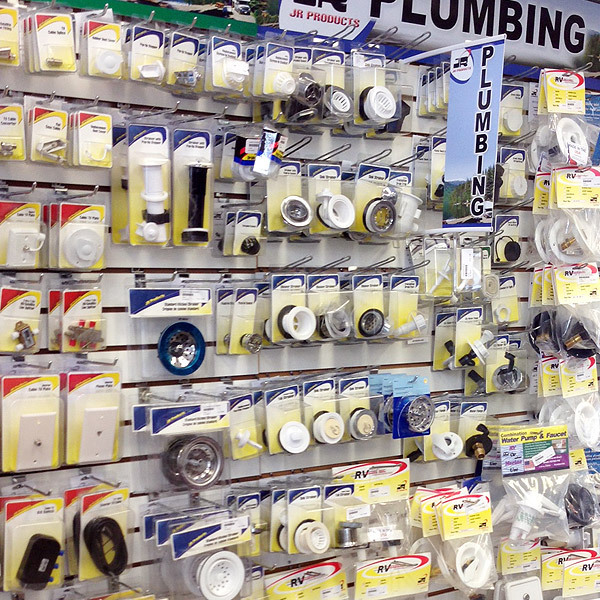 Plumbing parts and supplies that come in handy when quick repairs are needed. Accessories help make your “home away from home” a summer retreat you’ll cherish. Hoses are the life-blood of an R.V. and if you need a new one, we’ll have it for you in a jiffy! 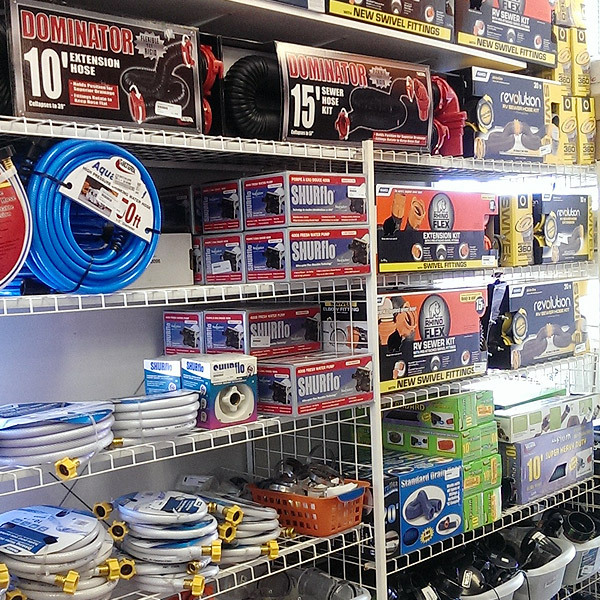 More plumbing supplies for any situation you may find yourself needing to deal with!